Fully functional. Less than 90.0 MB to download. Seconds to install. 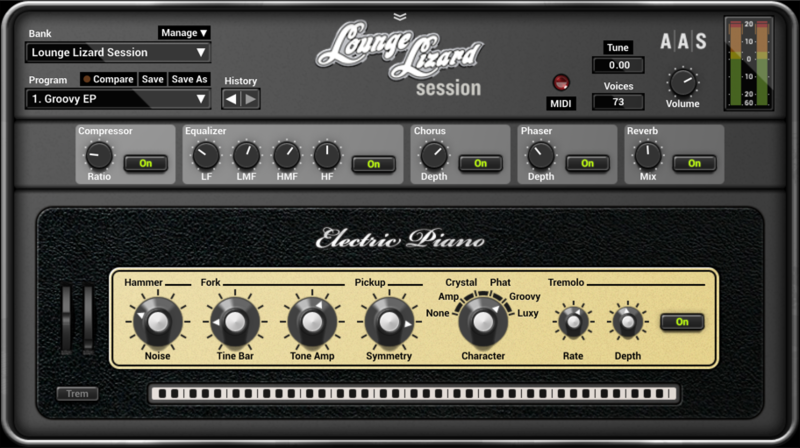 16 sounds based on a classic electric piano from the award-winning Lounge Lizard EP-4. 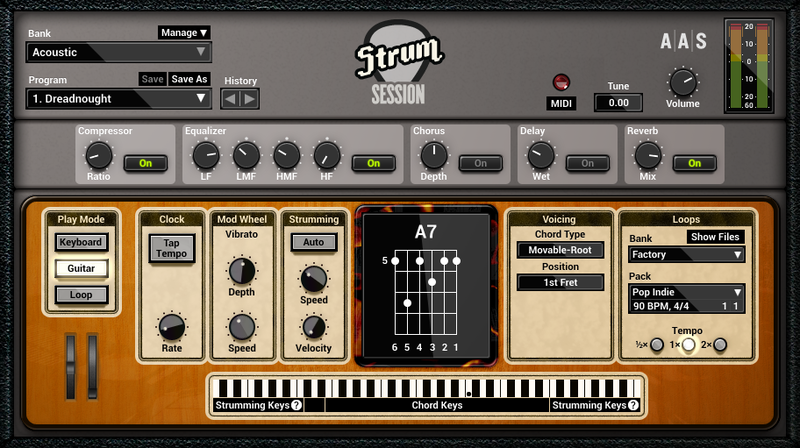 Trigger down- and up-strokes, scratches and mutes, or create picking patterns using the arpeggio keys. Slide and bend with the pitch wheel or aftertouch. Add vibrato with the modulation wheel as well as natural hammer-ons and pull-offs when playing leads. 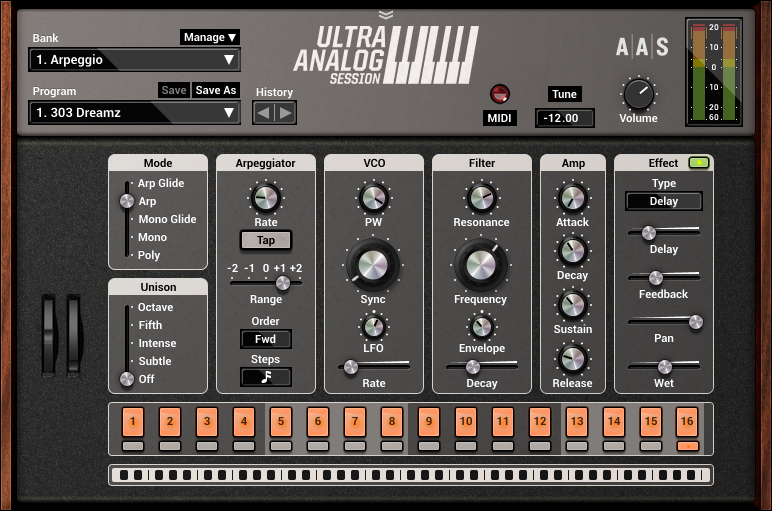 Session Bundle is compatible with nearly all DAWs. What type of copy protection does Session Bundle use? Can I re-authorize Session Bundle if I upgrade or change my computer, or have a computer crash? The license agreement for Session Bundle allows authorization on up to two computers which belong to you. You might need, however, more than two authorizations if for example, you get a new computer or change some piece of hardware such as the hard drive. In these situations, it won't be a problem to obtain additional authorizations.